One day, things suddenly go horribly wrong for Agent Terry Cooper. 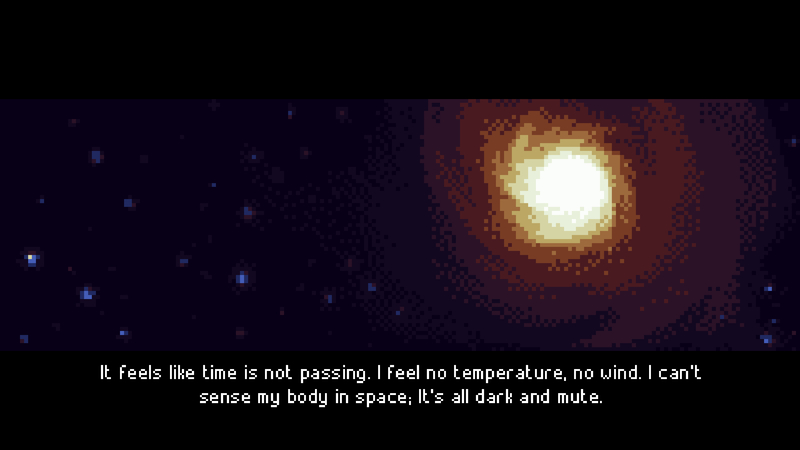 After being killed in a shooting, he suddenly finds himself inside the Necrosphere. It doesn’t matter whether you are good or bad, this is where you go when you die. It is a place where you have nothing to do but wait for all eternity! Agent Terry Cooper is in luck, though. Some of his friends in the real world (the Normalsphere) are somehow able to communicate with him, and he soon learns there is a portal that can return him to the Normalsphere. Unfortunately, to get there you will have to get through lots of challenging platforming as you explore this Metroidvania-style labyrinth. The first of a handful of intro screens. What the heck is going on!? The gameplay in Necrosphere is very simple to pick up, but mastering it will take much longer. At the start of the game, you only have two actions you can perform: run left and run right. The opening rooms give you space to get the hang of this, as your movement speed is faster than you may be used to from other 2D platformer games, such as Mario. There are also power ups that give you new abilities, but only one is available in the demo. 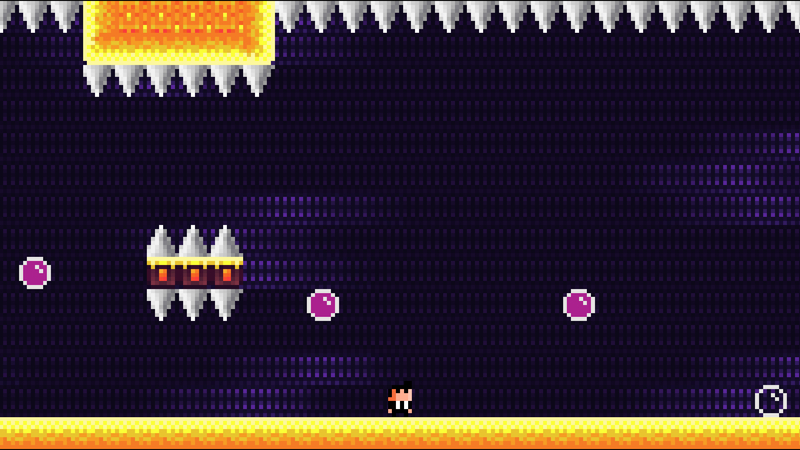 Although you can only move left and right, you can bounce on bubbles to cross spikes and fireballs or to reach higher areas. The purple variety of bubbles disappear for a few seconds after you bounce on them. I’ve also noticed some suspicious areas in the demo. For example, the image below is the starting room. You may notice a mysterious dim spot at the top of the left wall. I’ve seen these in a few other areas where more of them is visible, and they seem to be secret passages. The question is, how to reach them? As far as I know, none of the ones I saw are really accessible in the demo. Additionally, there are some other collectibles, too. The first one are sheets of paper that contain messages from your friends back in the Normalsphere. They give you tips and information on the Necrosphere, and they turn red once you read them. The other type of collectible are DVDs that one of your friends accidentally sent into the Necrosphere! The screenshot below shows both of these types of collectibles, but the paper is partly obscured by Agent Terry. Oops, one of your friends screwed up! In many areas, you can take your time a bit, as you figure out what to do, but some areas are much faster-paced. 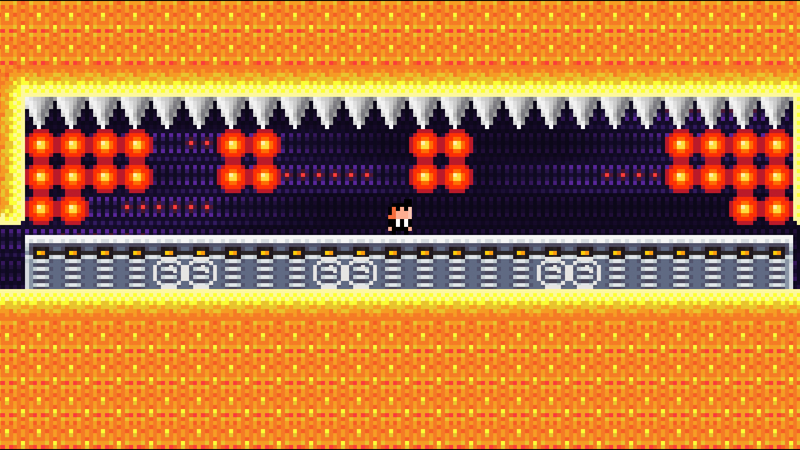 Take for example a shaft that you have to fall down containing fireballs that you must dodge throughout your freefall. You have to move left and right as you fall to dodge them, requiring some fast twitch-based gaming. There are a few of these sections in the demo, but I was able to get through them with a bit of practice. The final game will surely have even worse in store for Agent Terry, though. 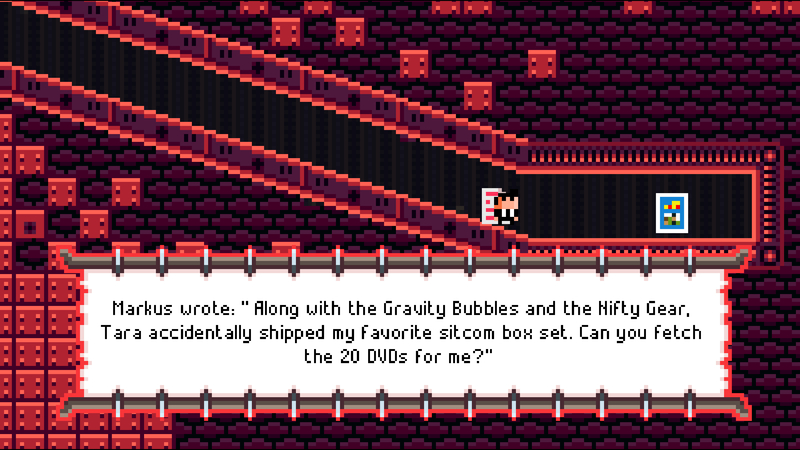 The game also has a bit of humor, as you can see here with the first and only power up item in the demo. Necrosphere also decreases possible frustration by borrowing a page from Super Meatboy‘s playbook. If you die, you instantly respawn so you can try again immediately. There is no pointless death screen taunting you every time you die, and making you wait to try again. This allows you to simply try again right away. There are also checkpoints throughout the Metroidvanian labyrinth that is the Necrosphere, ensuring that you don’t lose much progress when death gets you. Pointy, flesh piercing spikes everywhere! As you may have noticed in the screenshots, the Necrosphere is divided into distinctly different areas with different visual aesthetics. You will move through them and do some backtracking later, too. When you get new power up items like the ballet suit (shown in one of the previous images), you will be able to access some new areas within the Necrosphere. The undulating platforms of death! Yes, you’ll burn to death a good few times on those toasty fireballs! The game also features a very nice chiptune sound track that is very enjoyable to listen to as you play. There aren’t too many sound effects, but they do the job well, like when you bounce on a bubble or die. I enjoyed my time with the demo, and I did not find any areas in it to really be too difficult. The full game will surely ramp up the difficulty plenty more, though. Overall, the gameplay in the demo felt tough but fair, and most importantly fun! A rising and falling floor of doom! Those bubbles in front of the metal floor will be the death of you plenty of times as you try to avoid them! 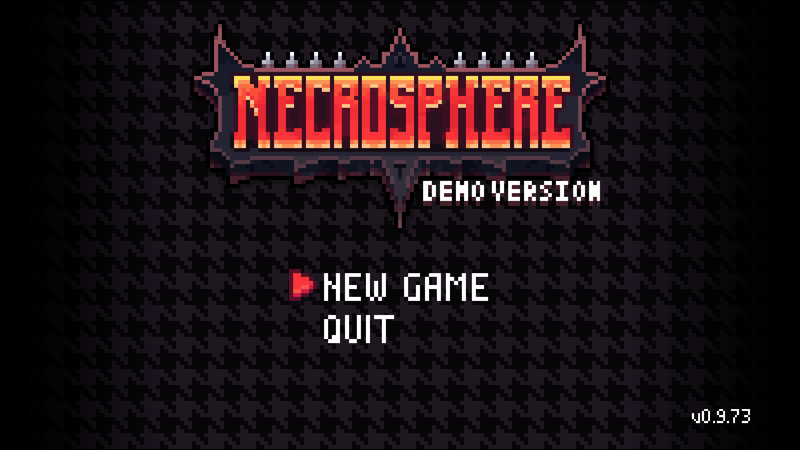 The Necrosphere demo is currently available on both GameJolt and Steam. The price for the full game is not yet listed, as it is set to launch sometime in September. 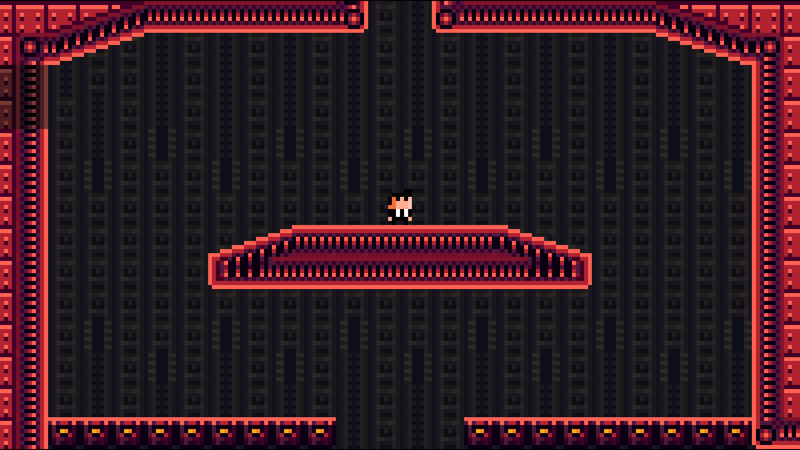 In addition to my comparison of this game to Super Meatboy above, it is also reminiscent of other games like VVVVVV. The demo is of course fairly short, and you might beat it in as little as 20-30 minutes depending on your skill level and luck. Do you have what it takes to reach the portal back to the Normalsphere, or will you spend an eternity in the Necrosphere trying?